Another recipe from my magazine cutout folder – this one is from the French issue of Saveur, and caught my eye as I just love any cake with fruit in it. Somehow I can trick myself into thinking that it’s a ‘healthy option’ 🙂 It’s also a simple recipe with few ingredients and really easy to put together, all good reasons for trying it out for yourself. It’s a winner at dinner parties! Magazine recipes are a bit of a gamble as I find that sometimes, there is just something missing, or the cooking times aren’t quite right. 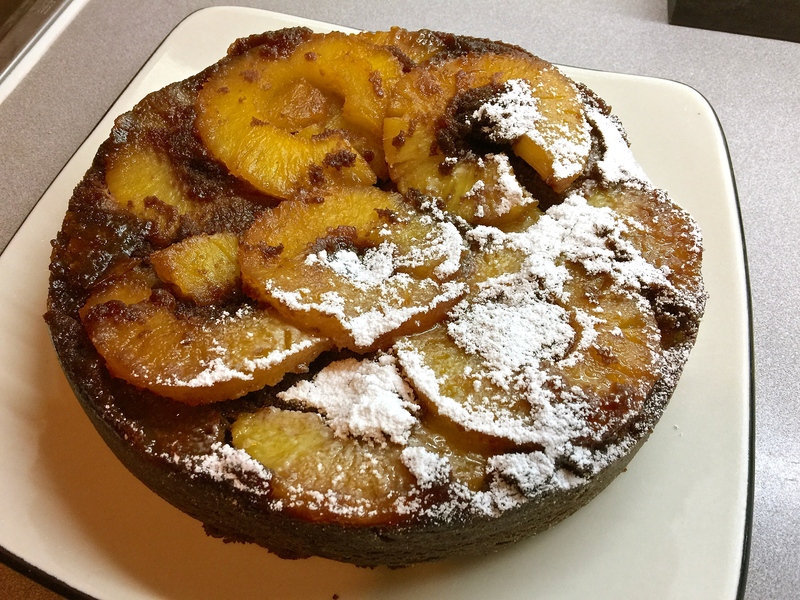 This one however is spot on – a nice cakey exterior with a moist interior, the sweetness of the pineapple juxtaposed by the bitterness of the chocolate (the darker the better). My latest kitchen toy is a pineapple corer, which is rather indispensable if you want your cake to have nice round pineapple circles. It also takes a lot of the fuss out of eating this rather prickly fruit as it takes literally seconds to peel and core it – without it, I just wouldn’t be bothered as it’s so much of a hassle to do it by hand. ♥ Preheat the oven to 180°C/350°F. Peel, and core the pineapple and cut into round slices. Heat the caster sugar in a small saucepan with 2 tbsp of water until it is a light brown caramel, do not stir it and keep a good eye on it so it doesn’t burn. Pour the caramel into a round cake pan with removable bottom, then layer the pineapple in the caramel. ♥ Melt the chocolate in a bain marie. In a large mixing bowl, beat the eggs with the brown sugar until light and fluffy. Add the softened butter until incorporated, then add the flour and baking powder. 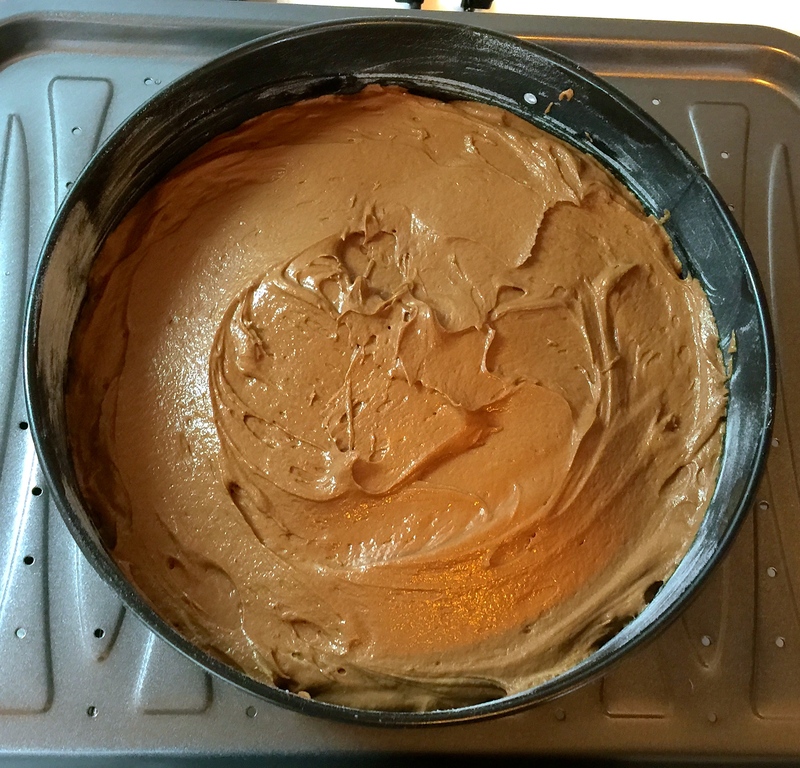 Finally, fold the chocolate into the mixture until fully incorporated. 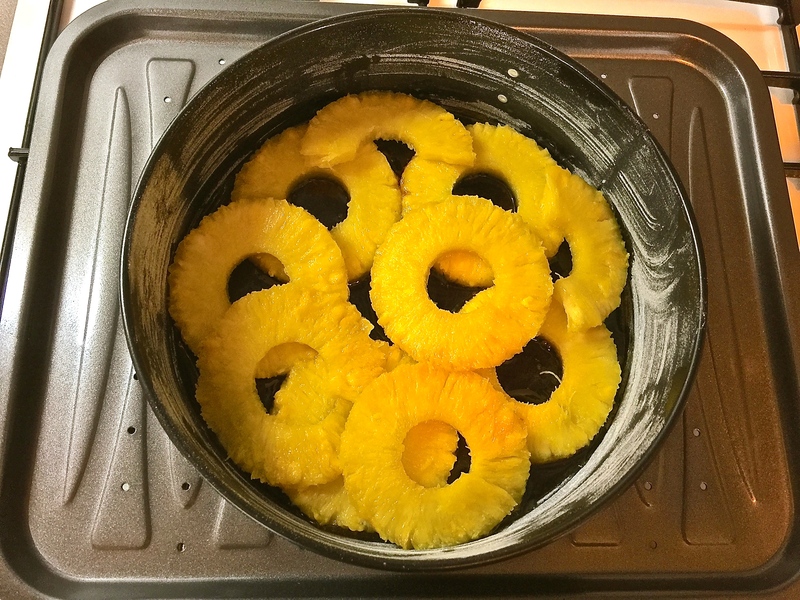 Pour over the pineapples and bake for 30 minutes. 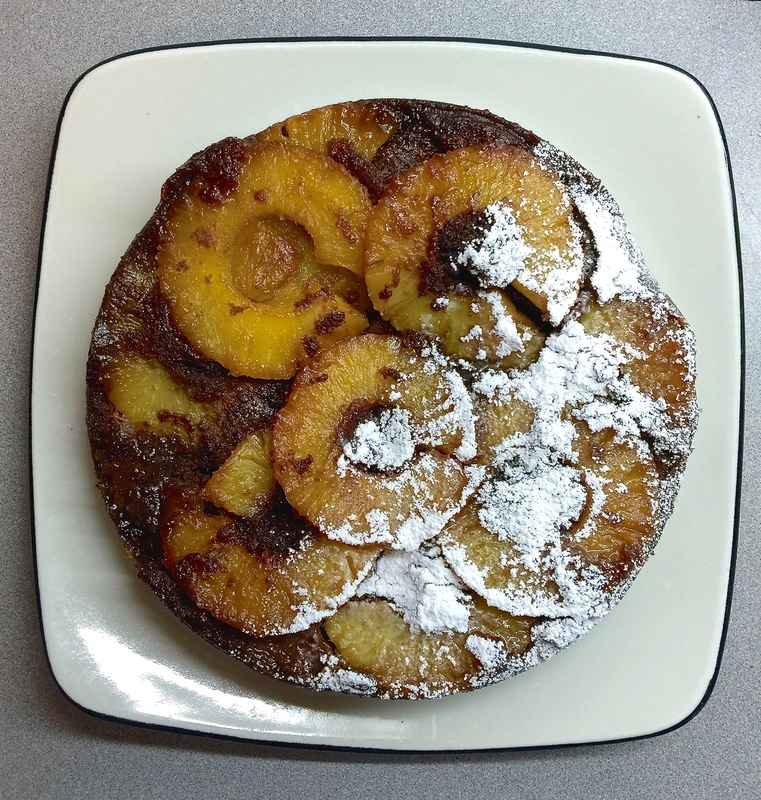 ♥ When finished, let cool for 10 minutes the place on the serving plate, pineapple side up. Serve warm or at room temperature, with a spoon of double cream if that’s your thing!